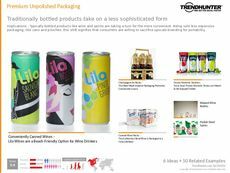 Find Better Ideas, Faster ® with a custom spirit trend report, our PRO Dashboard and 80+ categories of premium trend reports. 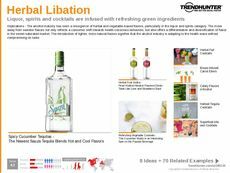 The Spirit Trend Report explores the vast amount of liquor trends refining consumer drinking habits. 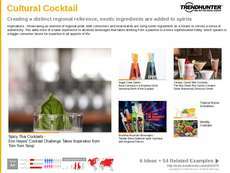 Over the past year, consumers have been subjected to a revolution in the liquor and hospitality industries, with bars, restaurants and pubs using a variety of spirits. These innovative alcoholic drink ingredients include gin, vodka, scotch, whiskey, bourbon, champagne and cognac. There has also been a push for more natural ingredients added to the mixing process, as we see drink trends that include fresh herbs, spices and even organic produce. Lastly, we examine big name brands like Absolut, Jack Daniels, Johnnie Walker, Jameson, Jim Beam, Bombay Sapphire and Crown Royal to see how they retain consumer attention through branding, advertising and marketing initiatives. 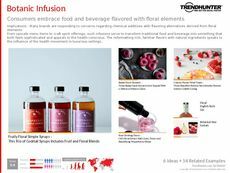 The Spirit Trend Report is ideal for restaurant owners, bartenders, head chefs, liquor stores and distilleries looking to supercharge innovation through relevant, crowd-sourced data. 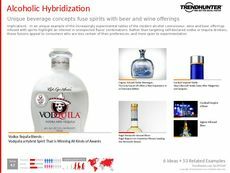 Leverage the data in the Spirit Trend Report to better understand drinking trends that have captured consumer interest.